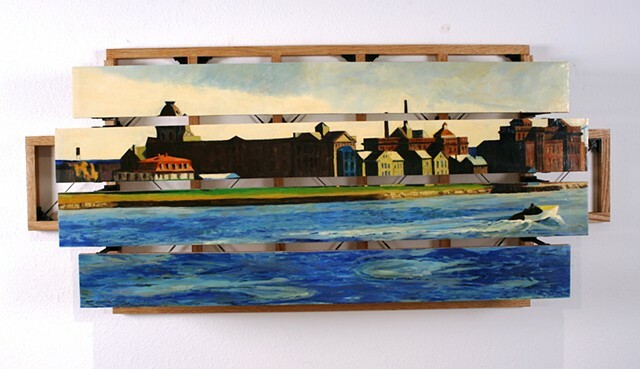 This piece is based on Edward Hopper's Blackwell Island painted in 1928. Blackwell Island (now Roosevelt Island) in New York City's East River was the site of a prison and asylum made famous by Nellie Bly's investigative reporting. The painting is supported above a post and beam structural grid system, reminiscent of a 19th Century construction methods.